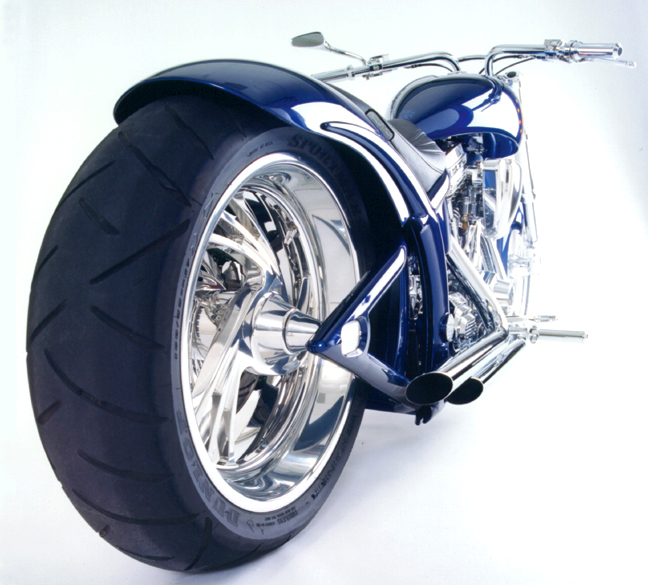 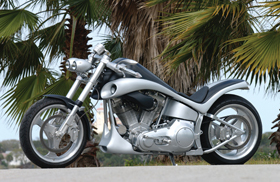 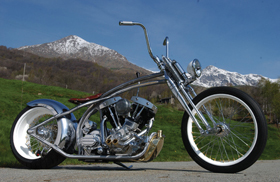 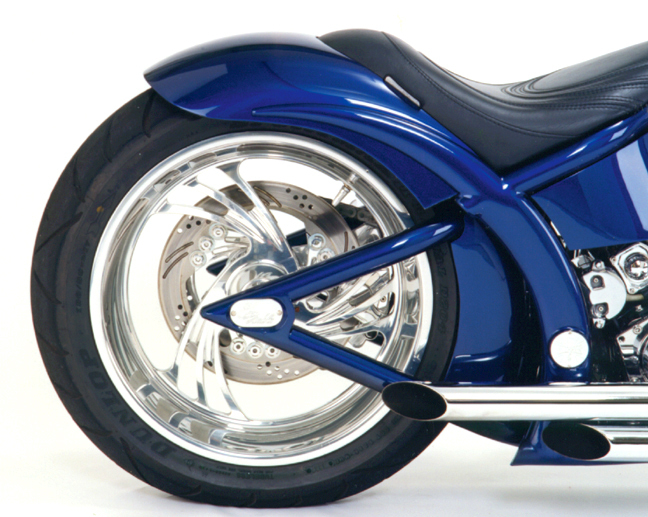 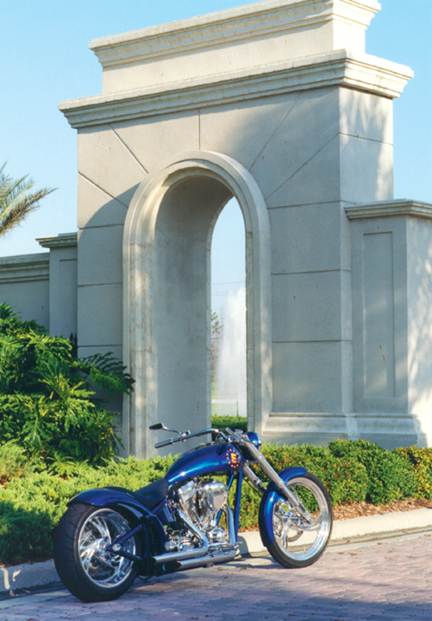 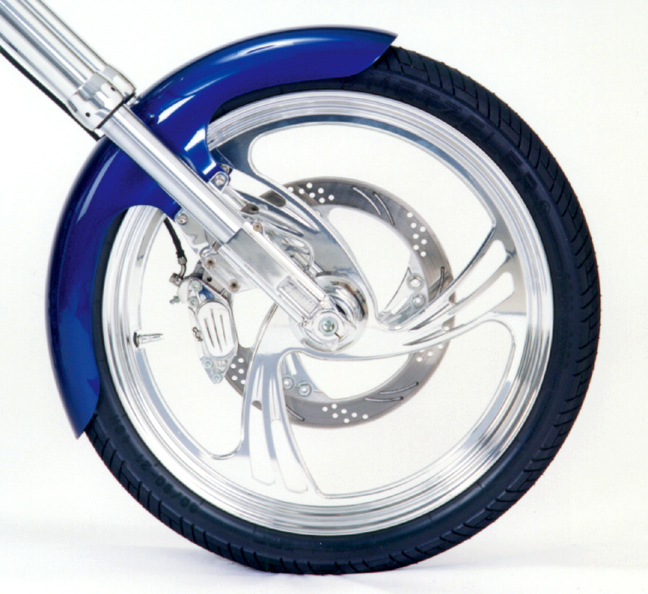 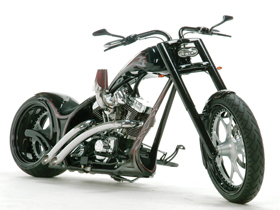 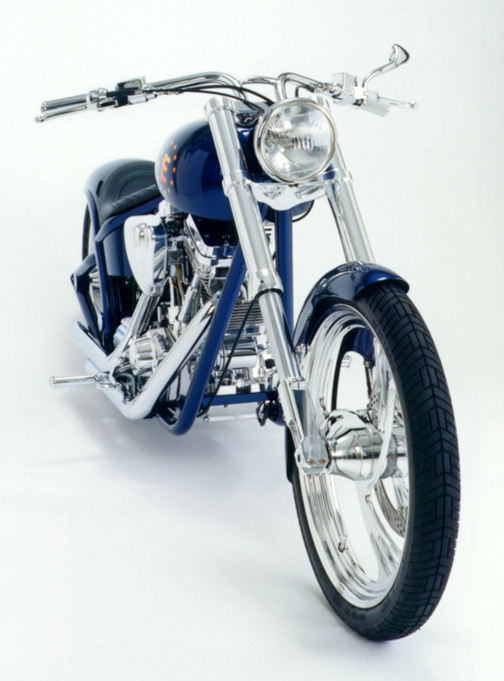 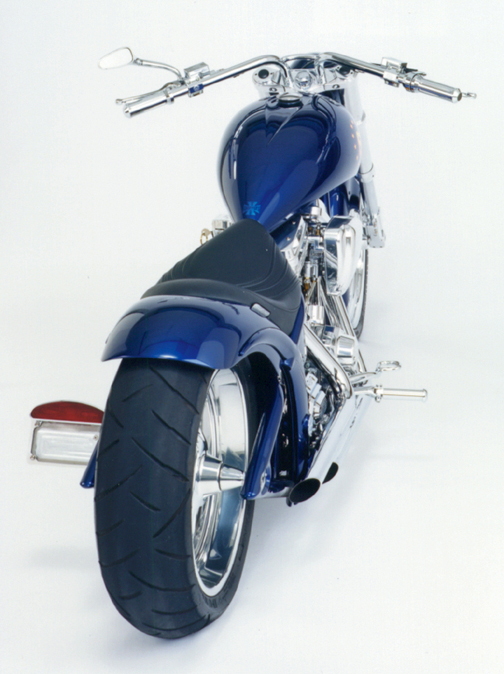 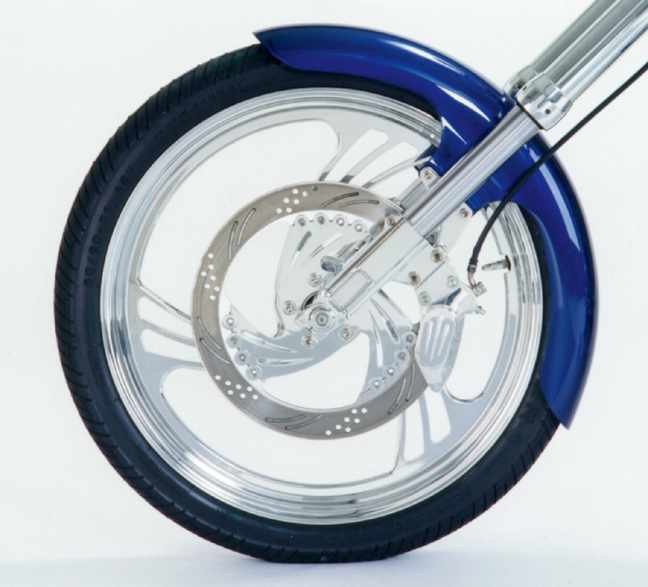 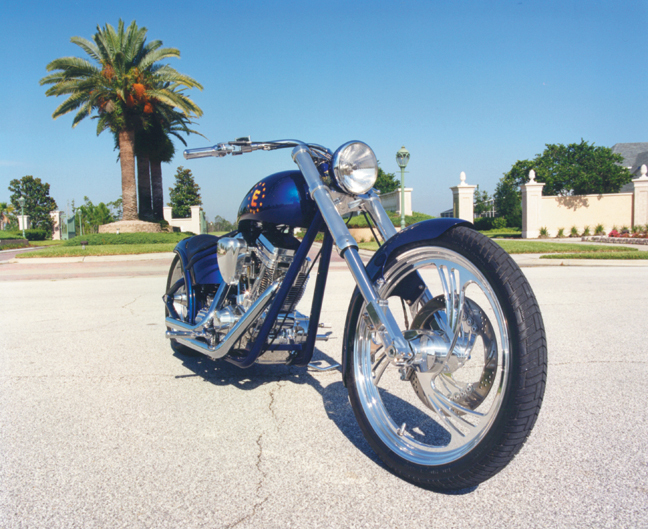 West Coast Choppers El Diablo featuring our 3d aircleaner cover and our special order nail style wheels. 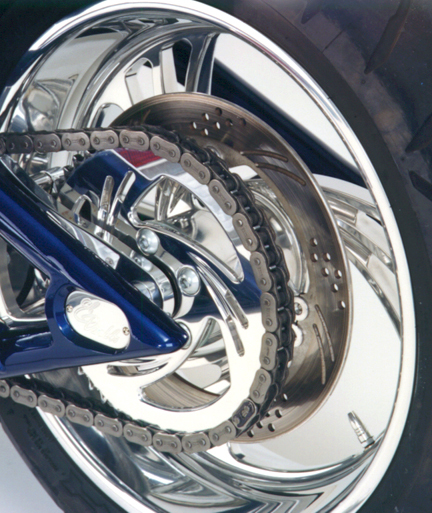 In this picture our special order nail style wheels, nail floating brake rotors and six piston front caliper. 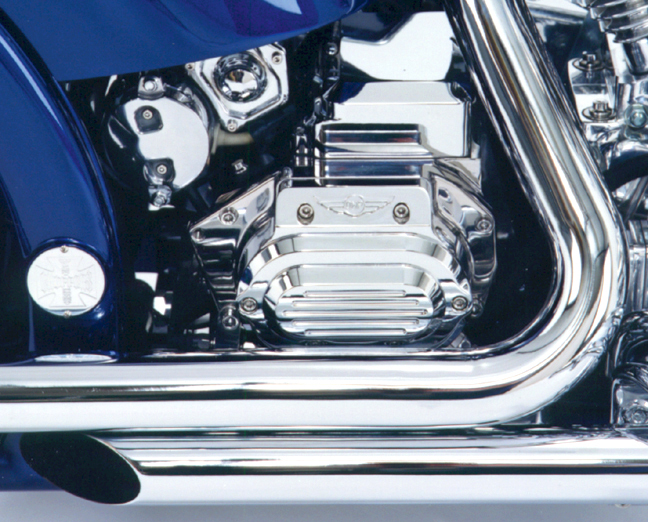 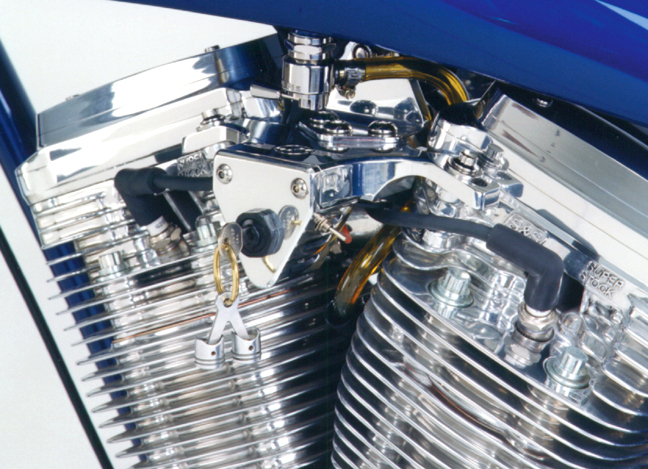 Here is a close up picture of our 3d aircleaner cover and chrome hydraulic clutch cover. 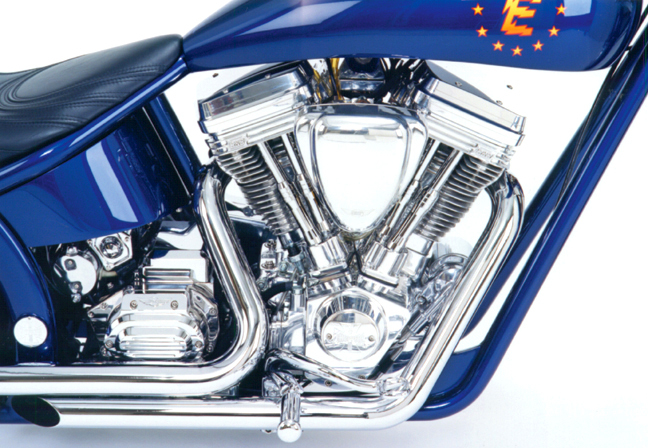 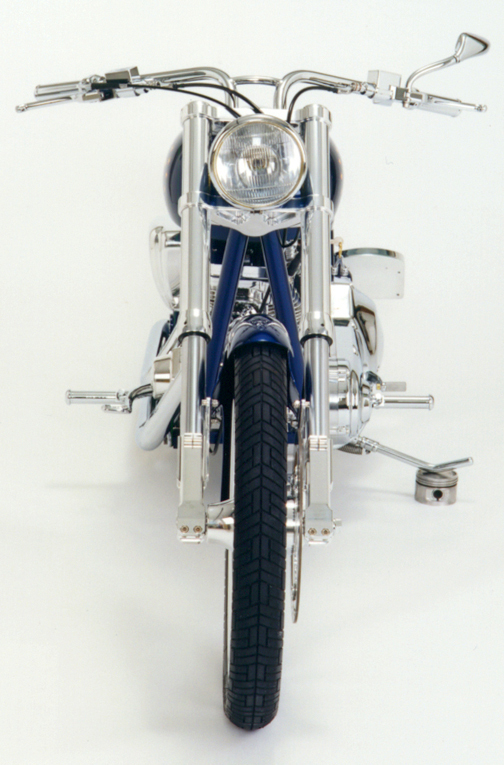 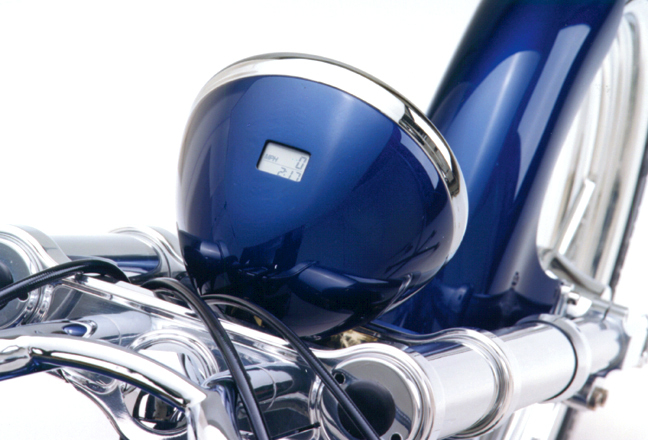 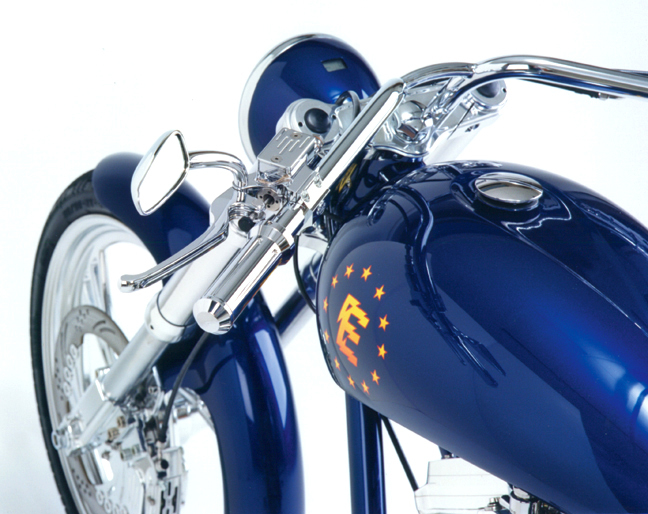 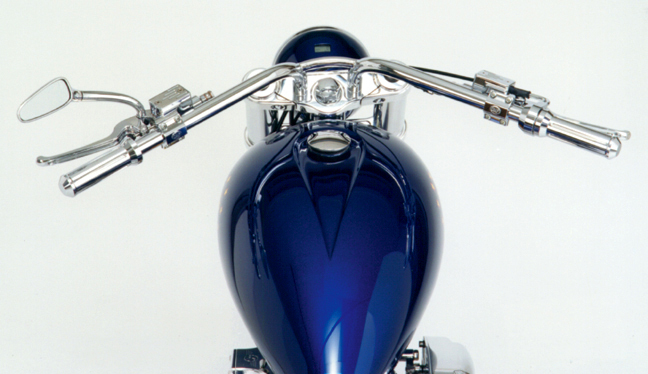 A close up picture of the West Coast Choppers headlight with frenched in digital speedometer. 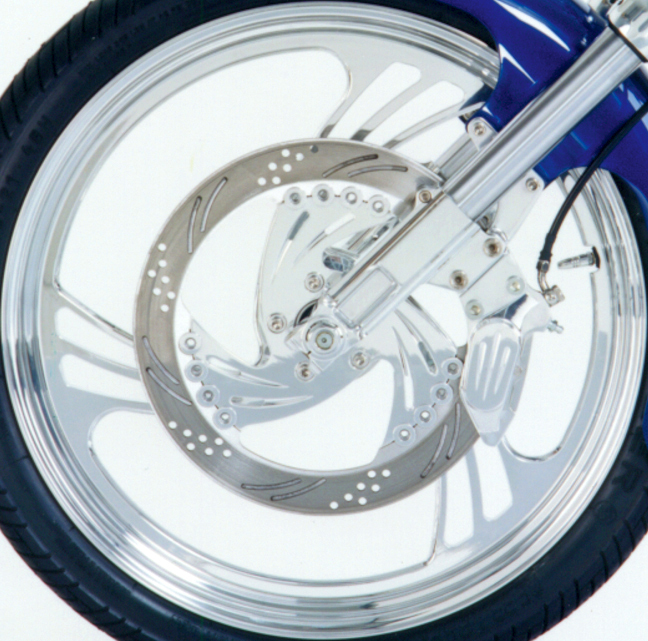 A close up view of our chrome hydraulic clutch cover. 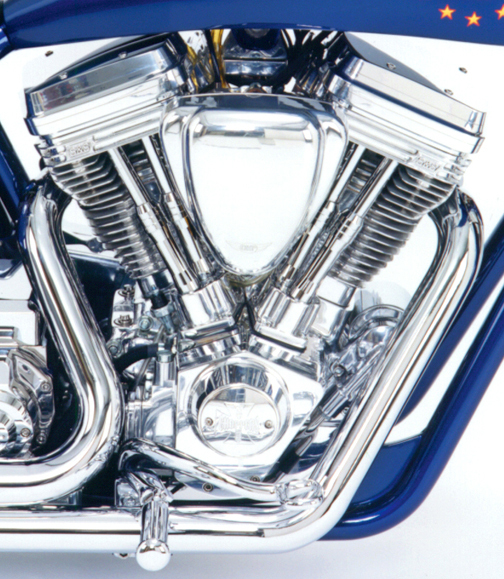 Here is a close up picture of our chrome top motor mount for softail, chrome ignition switch housing, and our super cool V-Twin key ring. 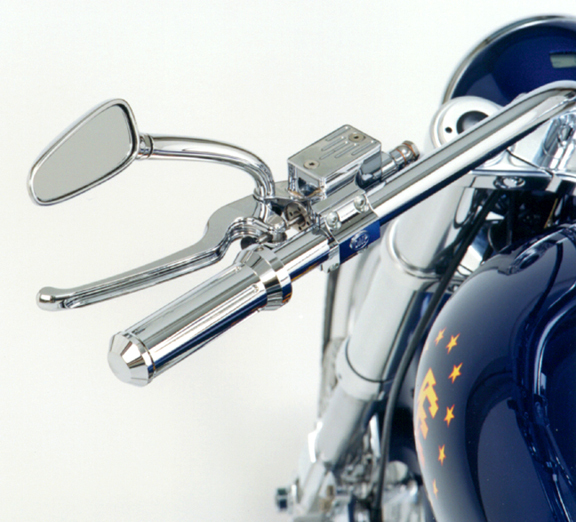 Here are our chrome custom hand controls, chrome throttle housing and chrome 3d wing mirror. 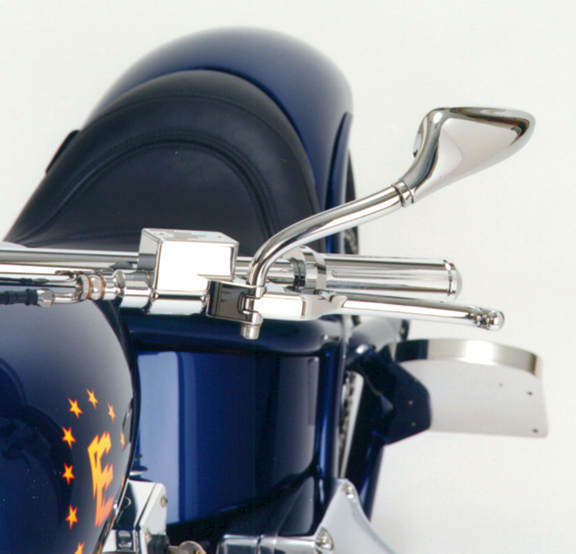 A close up picture of our chrome 3d wing mirror and chrome custom hand controls.